PaphosPaphos Town - 5 Star. 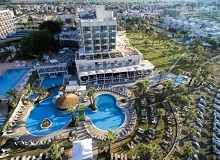 Located on the beach The Olympic Lagoon Paphos Resort is a ideal hotel for couples and families. With 5 restaurants and 5 pools, this top-class resort caters to your every need. 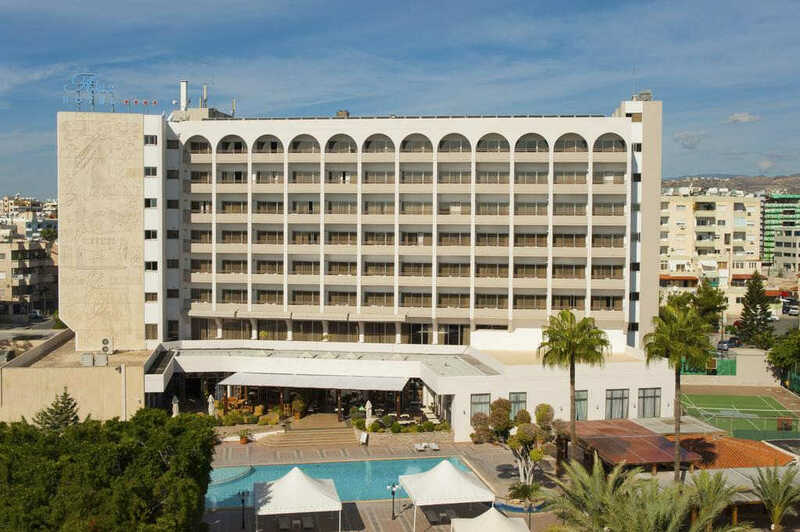 Constantinou Bros Asimina Suites is a luxurious 5 star adults only hotel situated in a quiet location yet which is also within a short distance from Paphos airport, the town centre, historical monuments, the shops and the nightlife. PaphosPaphos Town - 4 Star Plus. This sophisticated hotel interior has tastefully designed and fully equipped guestrooms, a choice of first class restaurants and bars as well as various forms of recreation and entertainment for adults and children. St George Hotels is truly the place where pleasure is served with pleasure! With 5 restaurants and 6 swimming pools The Athena Beach Hotel facilities and services are at your disposal in order to make your vacation more comfortable and pleasant. 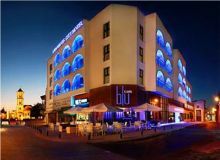 This beachfront hotel in Kato Paphos is within easy walking distance from the picturesque harbour, the archaeological sites, the shops and the nightlife making it the ideal holiday destination. Avanti Hotel Is A Large, Modern Resort Set In Sub- Tropical Gardens, with a modern décor and Light Oak-wood Furniture makes it to the pefect place to unwind and relax. Sister complex to the Hotel Avanti, this spacious apartment complex is built around a lagoon-style pool. 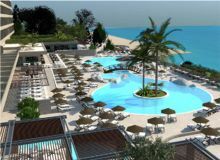 It is situated 300 metres from the beach and 20 minutes walk from the Paphos Harbour. PaphosPaphos Town - 4 Star. 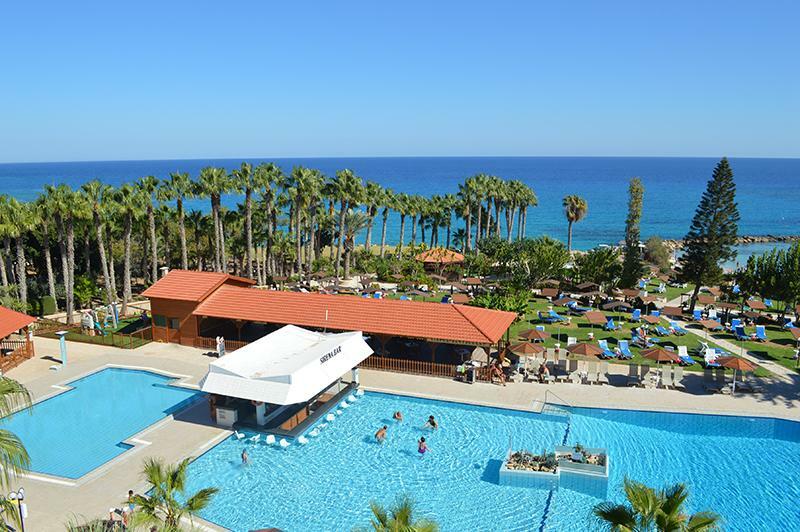 The modern Riu Cypria Bay Hotel is located two kilometers from the center of Paphos, set within a peaceful green belt area with its own private beach. 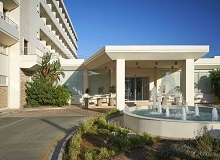 The Capital Coast Resort & Spa is a beachfront resort & spa, with contemporary modern interiors. The hotel has a selection of spacious standard rooms and luxury self catering suites encompassing a contemporary and modern décor. 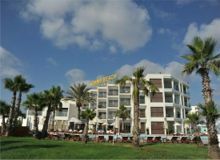 Ideally, located in Paphos near the historic Tombs of the Kings, just a 20 minute transfer from Paphos International airport. The Alexander the Great Beach Hotel in Paphos, on the southwestern coast of Cyprus, is a luxurious hotel directly overlooking a ‘Blue Flag’ sandy beach. All 202 rooms provide conveniences like sofa beds and coffee makers, plus free WiFi and plasma TVs with digital channels. Guests will also find balconies, minibars, and room service. PaphosPaphos Town - 3 Star. 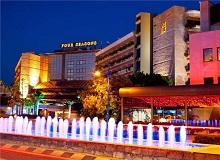 The Kissos Hotel is centrally located in Paphos with virtually all the city’s attractions in walking distance. We are 300 meters from the sea, and the coastal footpath that links the Port of Paphos with Chlorakas Beach. The old Port of Paphos is a 20 minute walk along the coastal footpath from our hotel. 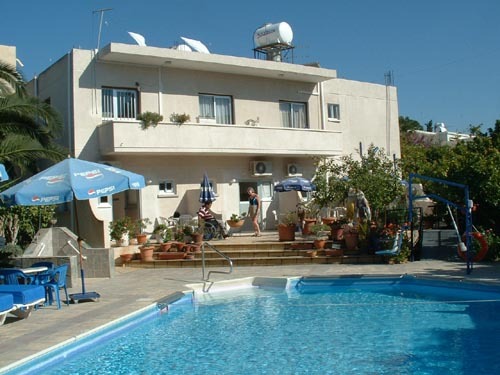 This popular holiday complex located in a quieter tourist area of Paphos, approximately 15 minutes from Kato Paphos centre, 20 minutes from the ancient ruins and 980m from the beach, with plenty of tavernas and shops nearby offers comfortable rooms and apartments perfect for both couples and families. PaphosCoral Bay - 4 Star. Combining the ultimate in design and hospitality! 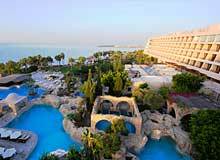 Capo Bay Hotel Cyprus is quite simply, the best beach hotel to stay in Protaras, Cyprus. Modern features blend in with traditional excellence in service and holiday accommodation. The Cavo Maris is a multi awarded, popular Beach Hotel, in a privileged, unspoiled and quiet, seafront location in Protaras, amongst extensive grass lawns and beautiful well-kept gardens. Elegance, comfort and hospitality are what you will find in Livas Hotel Apartments. This family-run resort is located just outside Protaras in one of the most beautiful areas of Cyprus, Pernera.